Over the past several years, some kind readers have inquired after the state of our home. 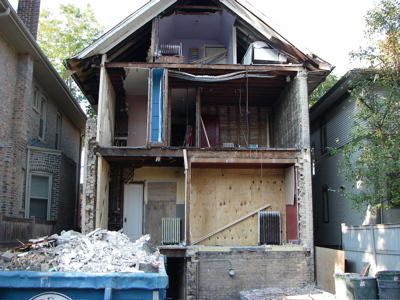 Here’s the backstory: three years ago we bought a neglected 1924 Craftsman home in Chicago. We did some preliminary work (air conditioning, plaster, refinished wood), but then spent three years living in the place and working with architects to decide how we wanted to renovate it. More below the fold … and bonus points if you can name the song that inspired this post’s title! 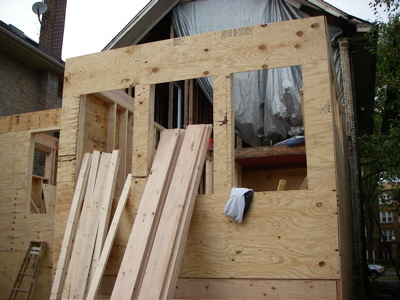 By now we have a framed-out second floor and a roof. They are also replacing the nasty aluminum soffit around the house with lovely cedar. Honestly, our contractor and his team are so great that this is going much better than I anticipated. The only thing I’m hating is dealing with the paperwork and the realization of the financial expenditure; even though I know it’s worth it, it still scares the bejeesus out of me! More Sugar Lobbying; Will It Ever End? I didn’t notice any solar panels or your new wind turbine, though! It’s far too early in the construction process for those components to even be on site, no less installed. It’s even too early to install the unipole. However, it is definitely not too early to begin negotiations with the utility regarding net metering, or even a power purchase contract. Wow, you have house! Glad to hear the contractors are working out well. Are you having to monitor the work closely, or do they seem to do things right even without you keeping an eagle eye? 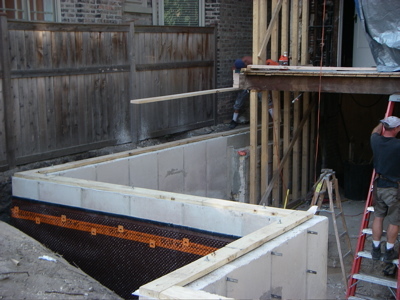 No eagle eye; they are good craftsmen, and the contractor is a much better contractor and businessman than most! Now c’mon, you of all people should be able to name the tune that inspired my title!